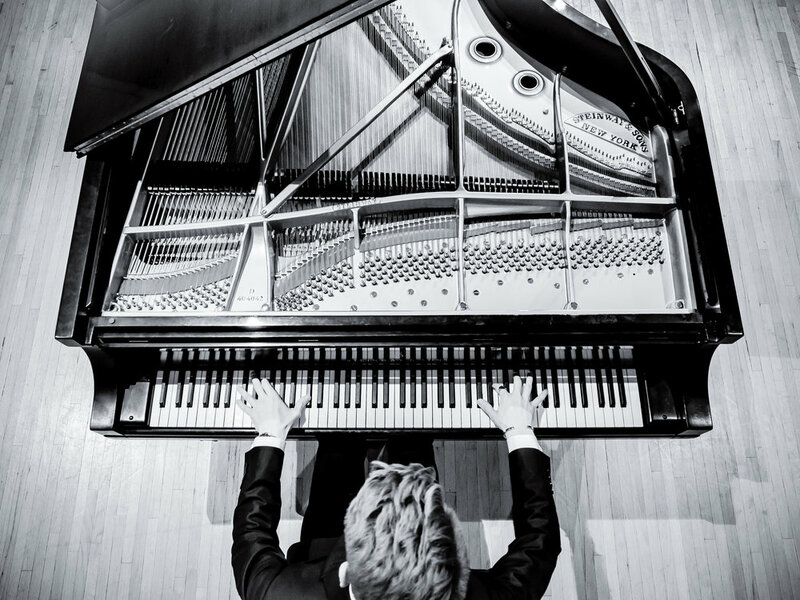 Brayden Drevlow is a concert pianist and music educator from Minnesota. He enjoys sharing his music with unique people in unique places; from rural/international audiences to venues on the opposite side of the world. L'Ambizioso was proud to complete our second major tour, with sponsorship from the Minnesota Arts Council! With over 30 concerts all around the Midwest, we reached nearly 12,000 people. Upcoming L’Ambizioso Duo Concerts - Soon to be announced! From a recording session on President Reagan's 9-foot Steinway at the Presidential Library Private Quarters. Roger Williams wrote on the cast iron plate that "this is the finest piano in the world!" Brayden is the third person to ever play this unique instrument, following only Roger Williams and Merv Griffin. Brayden performed a hurricane relief concert in October of 2018 to mark the one year anniversary of Hurricanes Maria and Irma, raising over $2,000! Concert at Grace Lutheran Church in San Juan, Puerto Rico. Miss Minnesota won the entire talent category at Miss America on the piano, with showmanship coaching from Brayden. Here is "All-American Hometown Band!" Watch as the sun sets over the Santa Monica Mountains midway through this beautiful video! Live in concert at the Ronald Reagan Presidential Library beside President Reagan's favorite tune beside his gravesite. Want to see more videos of Brayden in performance? L'Ambizioso Duo has reached tens of thousands of people all around the country. Sign up to receive news and updates. Be the first to hear about new CDs and upcoming concerts!